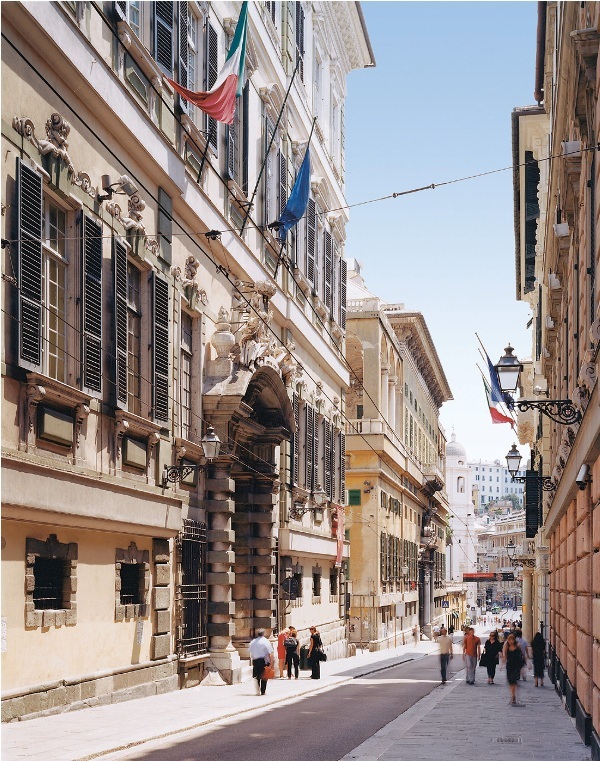 To stroll down the most elegant streets of Genoa. To lose oneself in the maze of alleyways dating to the Middle Ages in the biggest old city of Europe, guided to marvels hidden behind facades of great beauty. To gaze up at frescoed vaults and on amazing vistas, and then wander through porticos and gardens. This is the itinerary that proposes UNESCO World Heritage Rolli Palaces on the “new” streets of the 16th Century, the first baroque streets of Europe. 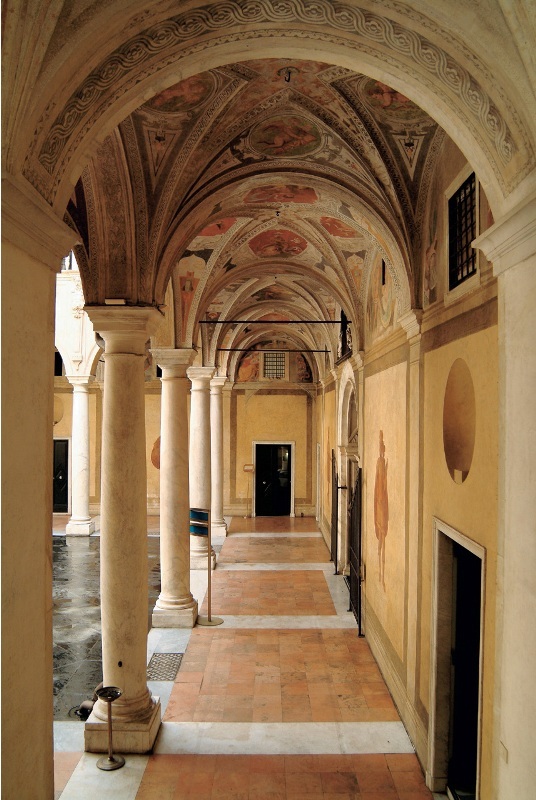 The Rolli Palace system dates to the 1500s. Though Genoa was one of the richest cities in Europe, its wealth was distributed among many noble families, and never concentrated in the single figure of a King. As a result, there was no corresponding King’s lodgings in the city, just an abundance of sumptuous palaces built by the nobles for their own enjoyment. When important dignitaries, royals or even the Pope came to Genoa, the problem arose where to house these guests. And so, the ingenious Genoese came up with their own original solution. The doge, Andrea Doria listed the names of the most beautiful residences on a “roll” (hence the name “rolli”) of parchment. As a civic duty, nobles on the list were to provide lodging and breakfast in their own homes, at their own expense, for important visitors to Genoa. Breakfast in the Renaissance was like a present-day gala dinner. The hot chocolate served was a rare luxury at the time. Itineraries involving the Rolli Palaces are yet another excellence that Genoa has to offer. Genoa is of great interest not just for those who love art, but also for those who wish to experience the atmosphere of the Middle Ages and the Renaissance. The old city, the historic center of Genoa is worth a day of wandering, without even setting a specific destination. Let yourself be guided by the picturesque or by something that attracts your attention, such as the aroma of focaccia just out of the oven. A good starting point is Piazza Banchi, near the old port, Porto Antico. This picturesque little piazza sits below the colorful facade of the Church of Chiesa di San Pietro in Banchi, a rare example of a church built on top of the shops which provided it with income. Via San Luca, a major pedestrian shopping street, exits the piazza. Several privately owned Rolli Palaces are on Via San Luca, so if you are lucky to find a half opened front door, do not hesitate to step inside a magical world of frescos and even fountains. Via San Luca then crosses Via della Maddalena, where Piazza Pellicceria opens to the right in the shadow of the National Gallery, Palazzo Grimaldi Spinola di Pellicceria. The palace was built at the end of the XVI century and still conserves intact its historic furnishings. This makes it a fascinating, and splendid, example of a patrician residence of the times. The Gallery holds works by the great Genoese baroque painters such as Strozzi and Piola, along with many Rubens, painted during his Genoese sojourns. Via della Maddalena instead holds the world in miniature – peoples of differing cultures and traditions, next to ceramic studios, where the Genoese calligraphic style contrasts with Arab tailor shops. After strolling the length of Via della Maddalena, turn to the left, and you are back in Via Garibaldi, which in the 1500s was called New Street, Strada Nuova, the first baroque street of Europe. Strada Nuova has remained unchanged since the times of Andrea Doria. Each of the palaces that face onto it are on the list of the Rolli and definitely worth seeing. Do not miss Palazzo Tobia Pallavicini – today the seat of the Genoa Chamber of Commerce – for the extraordinary beauty of its Gilded Gallery in Genoese rococò the work of Lorenzo De Ferrari, and Palazzo Nicolosio Lomellini with its amazingly beautiful “nymph” water fountain that covers the wall, designed in the 1700s by Domenico Parodi. It also has splendid frescoes by Bernardo Strozzi, showing native son, Christopher Columbus setting foot in the Indies, which were found in 2002 when the interior of the palace was restored to its former glory. Next on the street are Palazzo Tursi, Palazzo Bianco, and Palazzo Rosso (City Hall, the White Palace and the Red Palace). They form part of the Museums of Strada Nuova, where the art museums – though respecting all modern needs for exhibition – have maintained the original beauty of the palaces. They are part of a unique itinerary which, using the Rolli palaces as a starting point, runs through the main museums of the city. Palazzo Rosso, the Red Palace for its red stucco, officially Palazzo Rodolfo and Francesco Brignole-Sale, is filled with the family’s antiques and art collection. Here you will find works by Van Dyck, Dürer, Guercino, Reni and others. 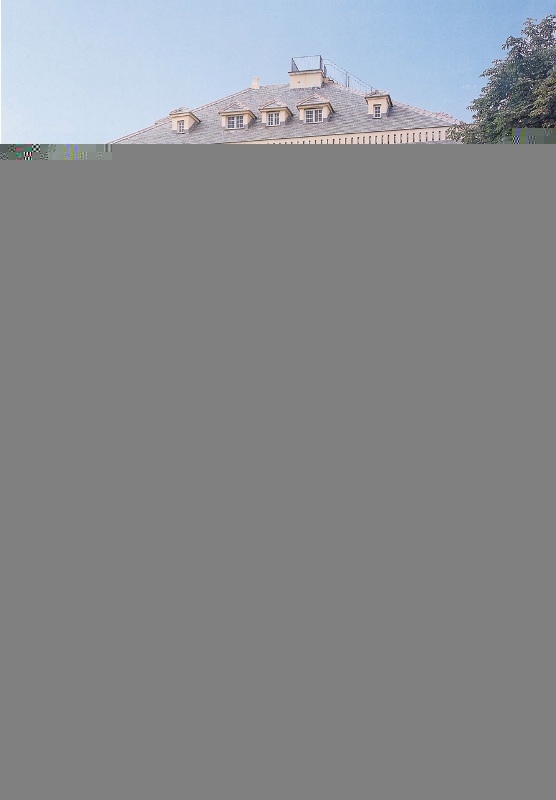 Do not miss the view from the palace’s belvedere which can be reached by elevator. Palazzo Bianco, the White Palace for its white stucco, officially the Palazzo Luca Grimaldi, holds many paintings by Italian, Flemish, and Genoese masters of the 1400s to 1700s. Its elevated first floor garden leads to Palazzo Tursi, which – though also serving as Genoa’s City Hall – can also be visited. Worth seeing is the salon dedicated to native son, Paganini, and those holding an unexpected exhibition of decorative arts (tapestries, furniture, ceramics, and Ligurian textiles) as well as a valuable coin collection. Via Garibaldi, once called Strada Nuova (New Street) turns into Via Cairoli, Strada Nuovissima (even Newer Street – having been built in the 1500s after the former). This pedestrian street filled with outdoor bars and cafés leads into the Square of the Mint, Largo Zecca, surrounded by three splendid palaces built by the ancient house of Lomellini. Next comes Via Balbi, which is the street of the university, with the great part of its palaces now housing various faculties and facilities. The exception is the Royal Palace (also called Palazzo Stefano and Giò Battista Balbi) which was bought by the House of Savoy in 1823. The Savoys turned it into their royal residence. 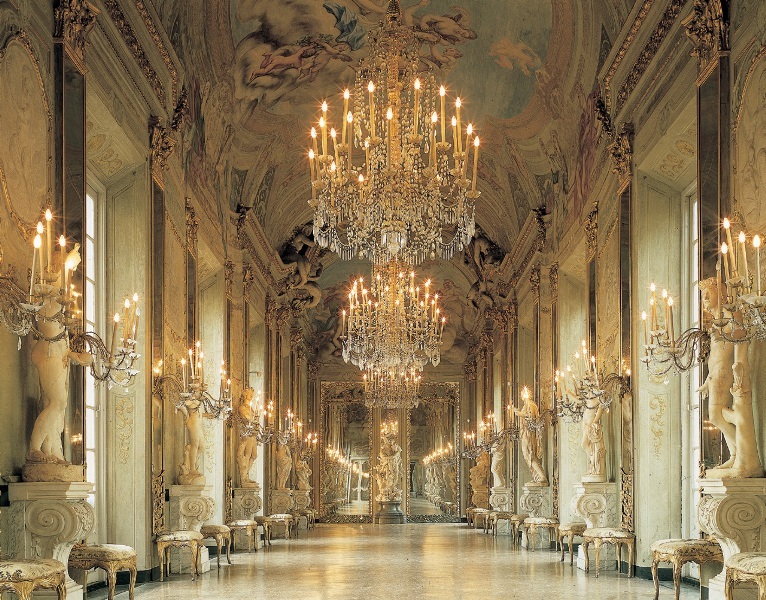 Today it too is an art and decorative arts Museum, but the highlight on its tour is the Hall of Mirrors designed by the same Domenico Piola who painted the greater part of the frescoes in the palace.